We Indians love SUVs. And why not! Our roads are an inspiration from Mars, That is the reason you see so many SUVs and compact SUVs on our roads. 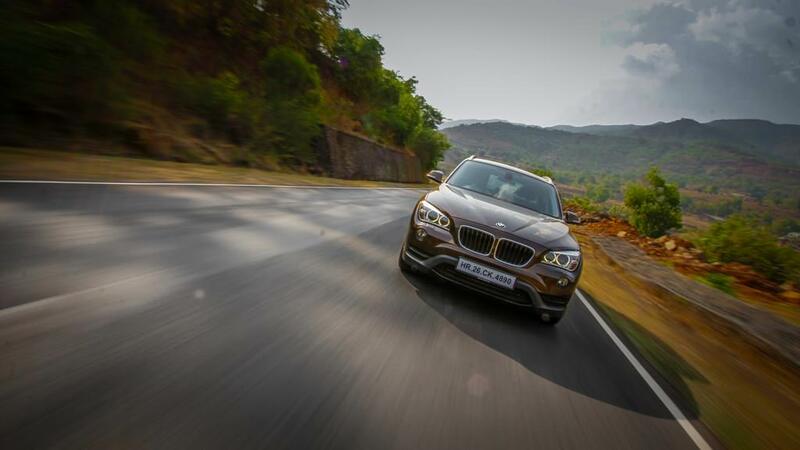 Few years ago, a German auto giant realized the taste of the Indian consumer and launched the first of its kind, a compact luxury SUV in India-The BMW X1. 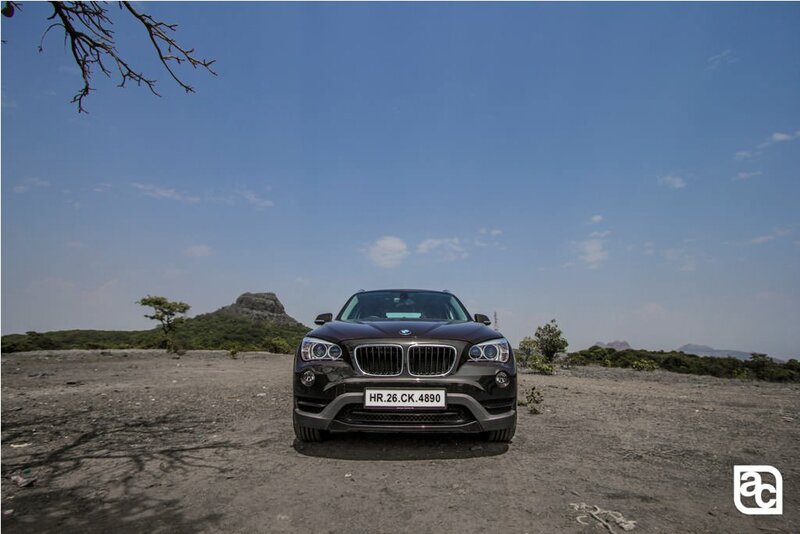 Though it was more of a crossover and less of a SUV, soon it revolutionized the compact luxury SUV market in India. 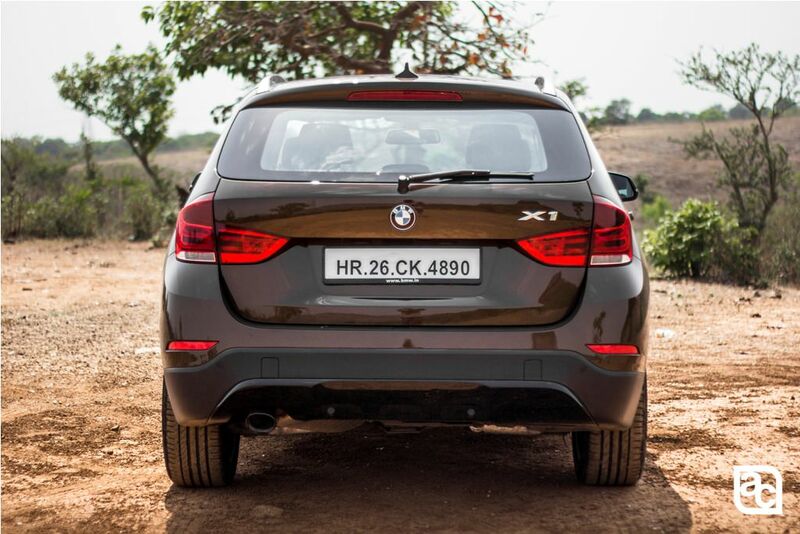 In fact, there was a time when 50% of the BMW cars sold in India were X1s. Hence,(we know it is a bit late, but) we just had to do 4wheelreviews review on this car. 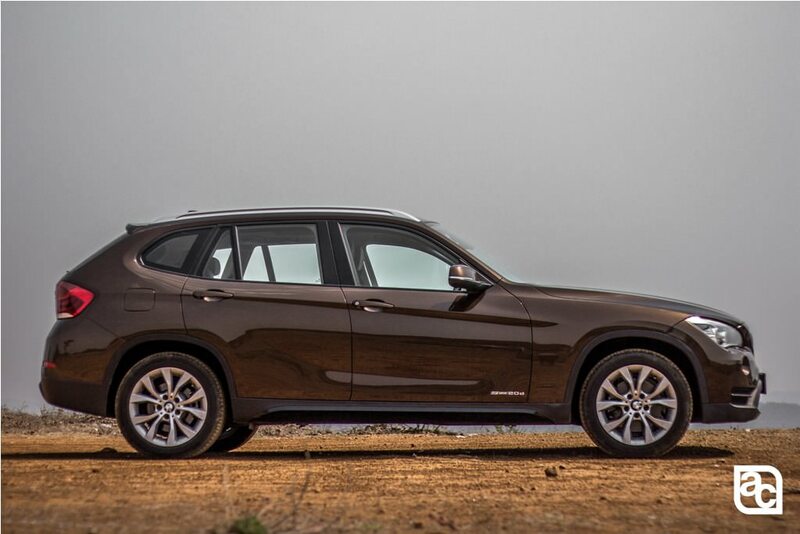 I’m confused as whether to call it a Crossover, SUV, station wagon or SAV sports activity vehicle as BMW calls it. I’m sure at first glance; this car is not going to impress you. Why? Blame the six-year-old design! It looks one scale bigger than the BMW 1 series. The Long hood ends in a traditional kidney grill and bi-xenon projector headlight (that now comes with corona rings and LED taillights). It also has reshaped exterior mirrors with incorporated blinkers. 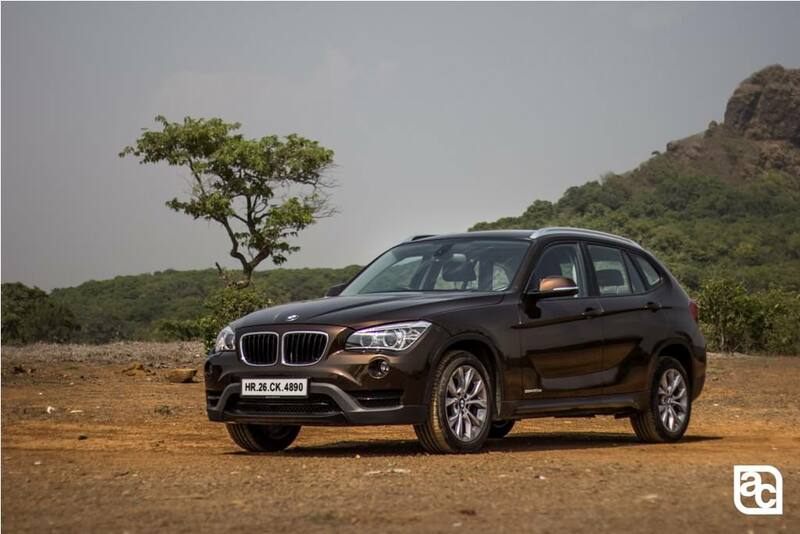 BMW X1 rides on well-carved 17-inch alloy wheels with matt silver side skirts. 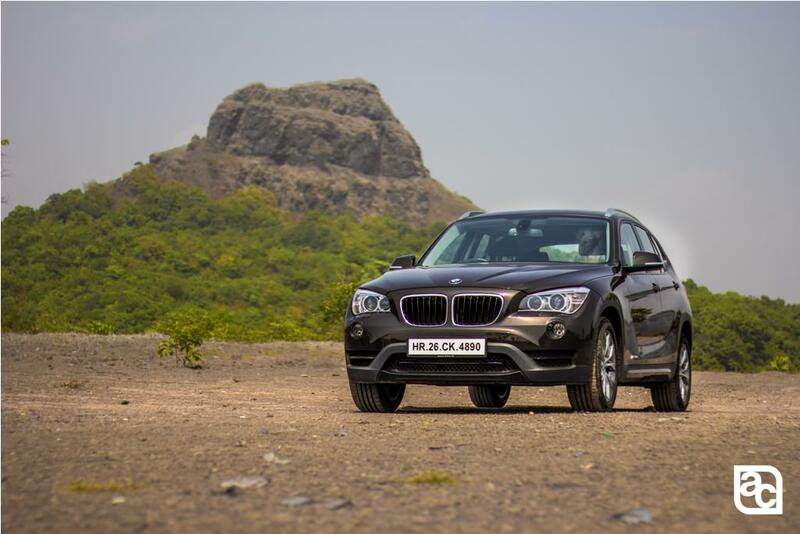 BMW X1 was launched in India in 2009 and was refreshed in 2013!! 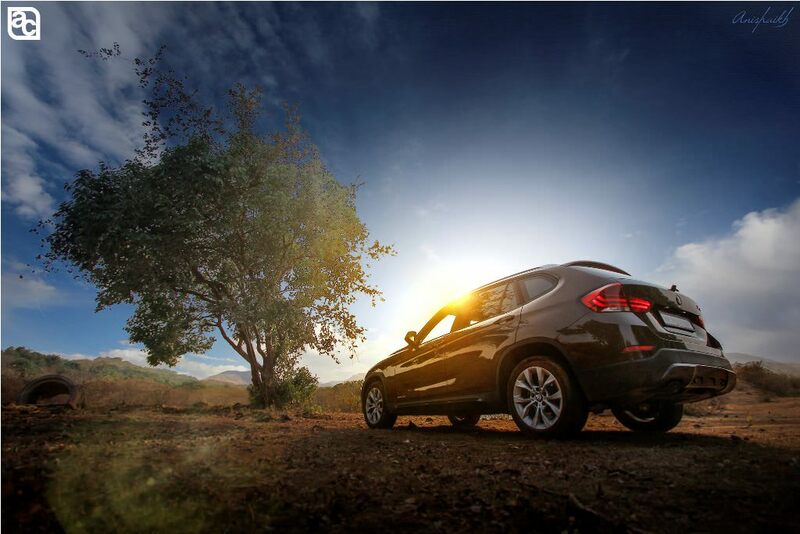 The BMW X1 is 4454mm long, 1798mm wide and 1545 high, i.e. Almost 165 mm shorter, 84 mm narrower and 117 mm lower than an X3. Well, that’s enough of dimensions! Now, getting in the car might be a bit tricky for tall people (Ask me I am 6 feet tall). Although, when you enter inside, this car has ample of head and leg room. You sit a couple of inches higher than a regular BMW sedan. Still, it feels more like a car than an SUV. The interiors are black with brushed aluminum inserts. If you would have made me sit in this car without me having checked out its competition, you might have seen a smile on my face. But, I drove the BMW X1 and Mercedes-Benz GLA on the same day and the competition is far ahead of X1 in terms of luxury. Having said so, I’m nowhere doubting the quality and fitting of the interior. They are top notch as supposed to be just like all BMW’s. The standard equipments are a navigation system with an integrated hard disk and an 8.8-inch screen USB, Six CD changer, AUX, Ipod connectivity, Bluetooth and panoramic sunroof. The front two seats are electrically adjustable and the driver seat comes with a memory function and adjustable side bolsters. That’s where you get really comfortable position while driving. The adjustable bolsters makes sure that the driver is in seat at every corner and overcomes the body centrifugal force. Those all electronic fancy things, but what a driver actually feels while driving this car, you get a good front view, though, it takes time to get a judgment on the the long hood. The rear view is not impressive either. Talking about the rear seats, I’m very disappointed to tell you its not comfortable for even two passengers. The transmission tunnel makes it even worse! The big hump of transmission tunnel makes 3rd person very uncomfortabale in the rear seat. Behind the back seat, there is a 250 cubic feet of cargo space, nearly 50 percent more than what you get in a current 3-series trunk. Thus some more practicality over the sedan in this crossover. 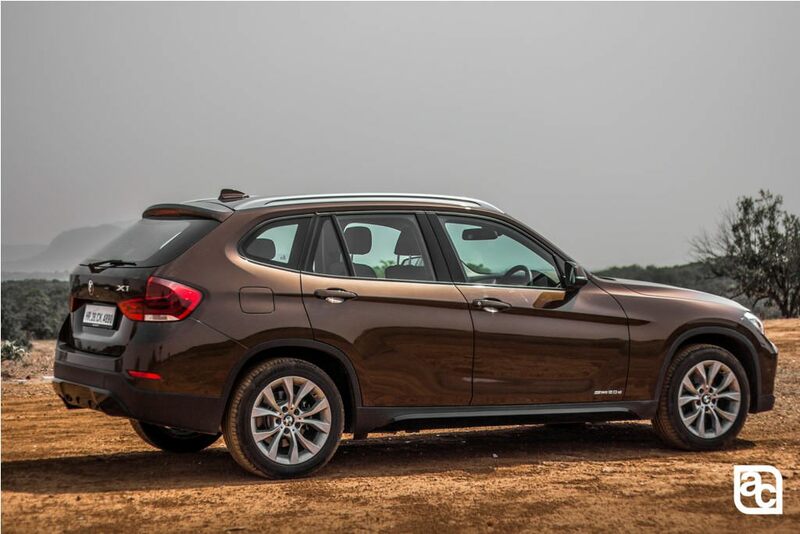 Powering the X1 is a 1995 cc power twin turbo motor churning out 181bhp and 38.74kgm of torque, mated to 8-speed automatic, Steptronic transmission. What that means, is this machine is capable of taking you from 0 to 100 kmph under 8 seconds. 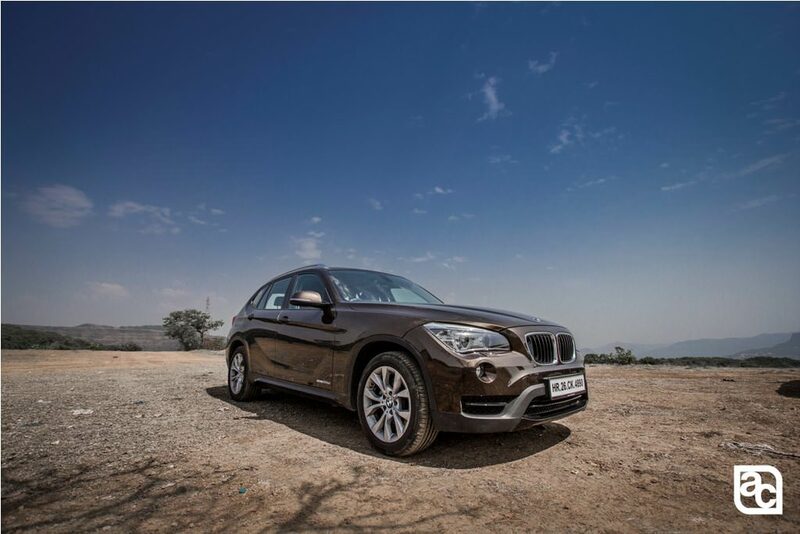 The drive quality has always been the forte of BMW and they have maintained it in the X1 as well. Performance is where it leaves all its competitors behind. BMW makes sure that every car they make stands for its tagline ‘Sheer driving pleasure’. 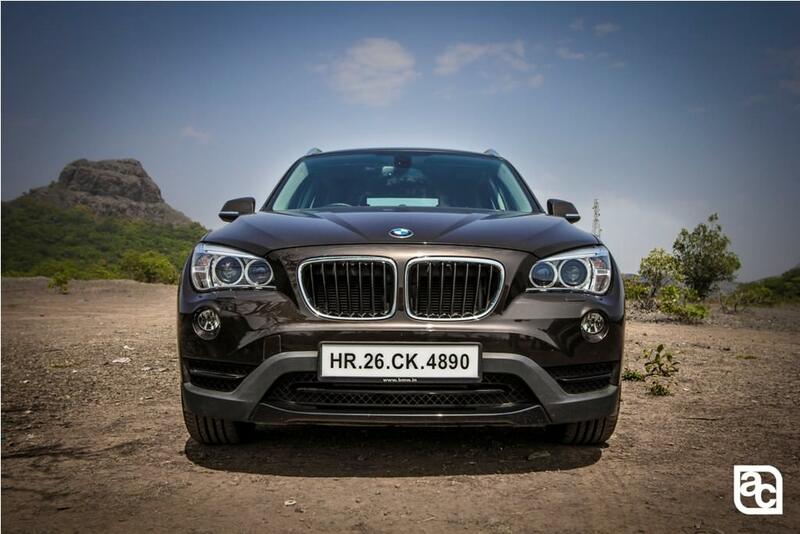 So the big question- How does it feel to drive the BMW X1. 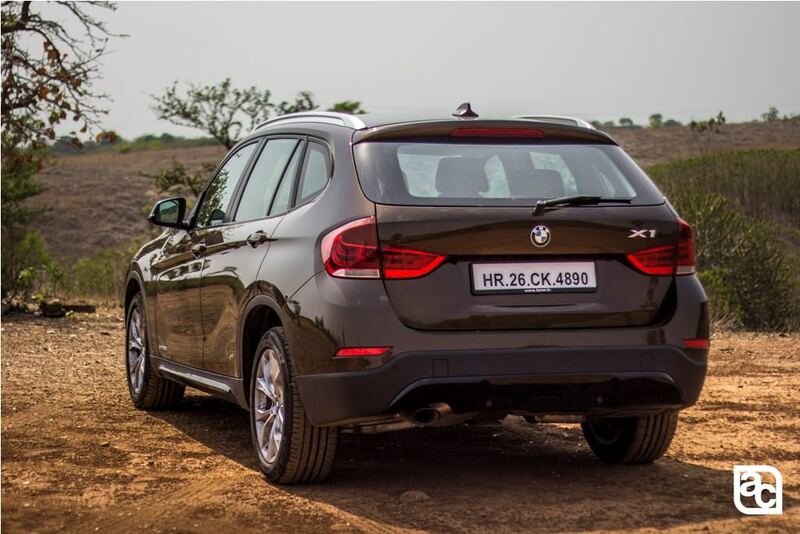 BMW X1 is very exciting one to drive, the 8 speed gearbox shifts quickly, irrespective of your driving in city traffic or on the highway. The motor pulls effortlessly and the acceleration is linear from low engine speeds. The electro-mechanically assisted steering maneuver nicely, especially while hitting corners you point it and vehicle is precisely directed you can actually experience what is happening in each corner. As steering is not fully electronic it feels hard at parking speeds. Being RWD, you eagerly wait for the bends and it’s a fun experience to push this car harder through the corners and tail outs. Although, don’t go a step further and turn off your traction control in an adrenaline rush. That’s something you should definitely not be trying! Well, we tried it, just to see how beneficial the traction control is. And we can ensure you it is beneficial to the point of necessity. BMW has incorporated Efficient dynamic package in X1, which consist of Engine Start-Stop, Eco pro mode and Energy recovery from braking. What Eco pro mode actually does is it manipulates throttle sensitivity, shift maps on gear box and climate control system to extract more fuel economy. The suspension system consists of, an independent, front strut with a stabilizer bar and coil springs in the front and independent rear multi-link suspension with a stabilizer bar and coil springs at the rear. Priced at Rs. 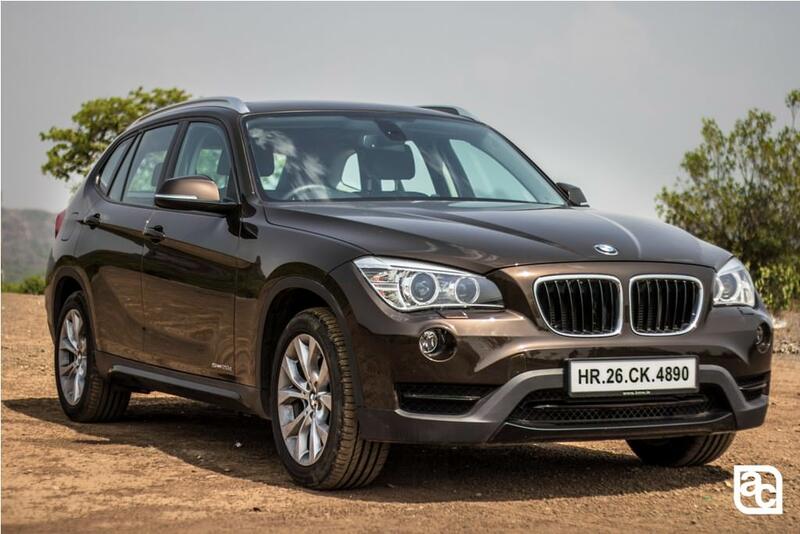 37.90 Lakh BMW X1 may not be packed with all the luxury features you get now a days but it surely has that punch to give you a driving joy. BMW is going to replace current X1 with all new 2016 X1, which does not share its platform with BMW’s current passenger cars. Instead, it switches to the front-wheel-drive architecture that underpins the 2-series Active Tourer and Gran Tourer people-movers sold in Europe, as well as BMW’s third-generation Mini.